LESS than replacing expired and missing content or adding the new required items! 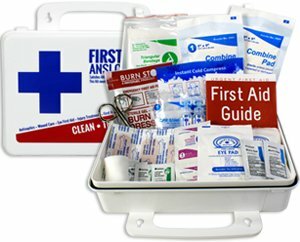 ANSI Standards for Workplace First Aid have changed. Kits purchased in previous years may not be up to current standards. 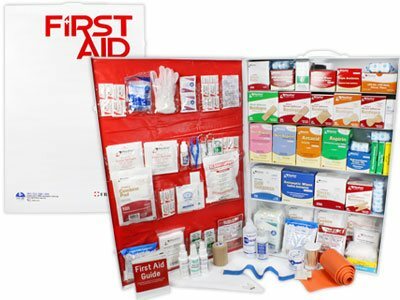 Most businesses need to meet or exceed ANSI First Aid Kit requirements - State and OSHA regulations most often start with these as minimum requirements - and then in some cases build up further from there for industry-specific needs. 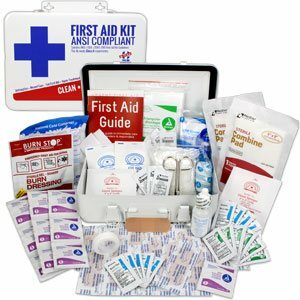 The ANSI requirements call for much more first aid kit content than previous business first aid kits contained. 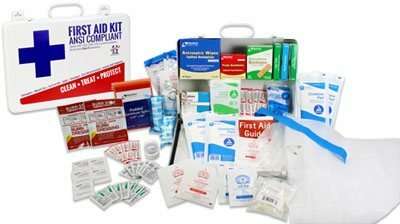 These ANSI First Aid Kits, ANSI First Aid Kit Refills, and Upgrade Packs will assure your ANSI compliance. Read about ANSI Z308.1-2015. Want your logo? 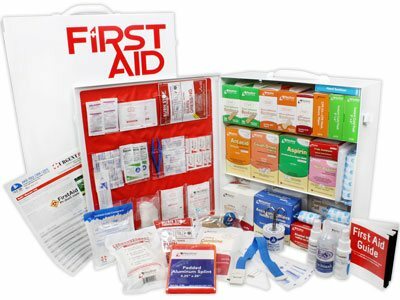 We can silkscreen your own imprint FREE starting at just 36 first aid kits or 24 first aid cabinets - call for details or see our custom logo page if interested. 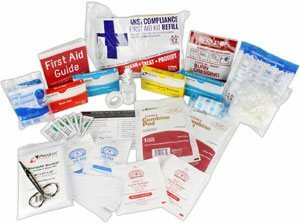 Meet ANSI/ISEA Z308.1-2015 Minimum Requirements for Workplace First Aid Kits and Supplies with ANSI Unitized First Aid Kits and ANSI First Aid Refill Packs. Also, learn about ANSI Unitized First Aid & ANSI Color Codes. Need Class A or Class B? 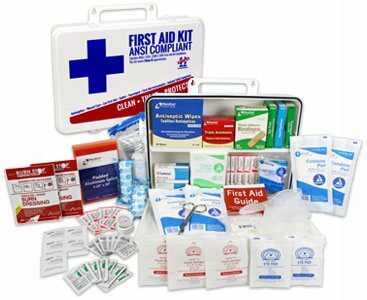 Class A kits with contents designed to deal with most common types of workplace injuries. 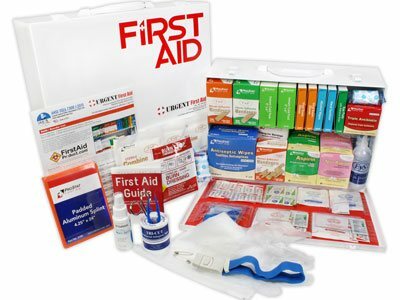 Class B kits with a broader range and quantity of supplies to deal with injuries more complex or high-risk environments. 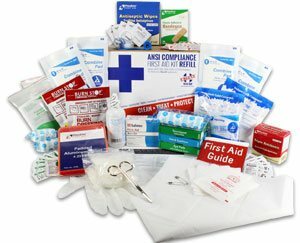 Use to augment, refill, or completely replace the content of your existing first aid kit for ANSI Class A compliance! 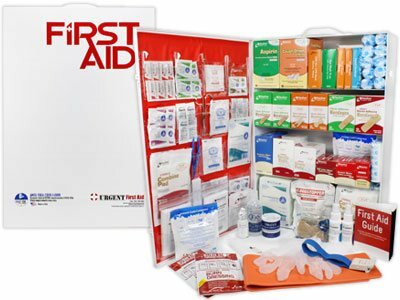 Use to augment, refill, or completely replace the content of your existing first aid kit for ANSI Class B compliance!